I finally got around to using my chick peas the other day. 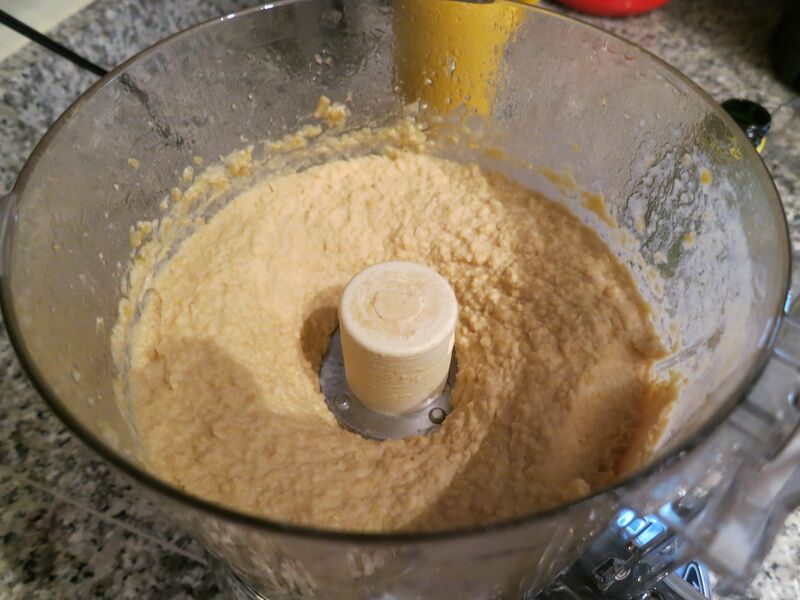 I made hummus – a fridge staple in our house. None of us can get enough of it and I think G would eat it by the finger-full if he could. 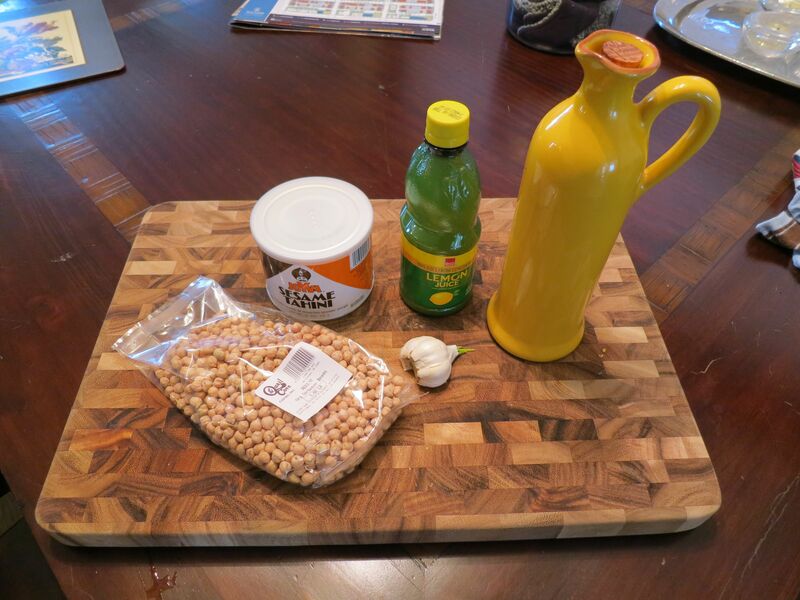 Before making Mark Bittman’s hummus, I had to cook the beans. I used his cooking/soaking method to cook the beans. I covered the beans in cold water, brought to a boil. covered and then let sit off the heat for 2 hours. Then, I put more water in so that the beans were covered by 1 inch of cold water. I brought it to a boil again and checked them every 10 minutes until they were the texture I wanted. I wanted them to still be a little crunchy (aka not mushy) so I cooked them for 20 minutes. Having crunchy chick peas gave my hummus some texture, which I liked. 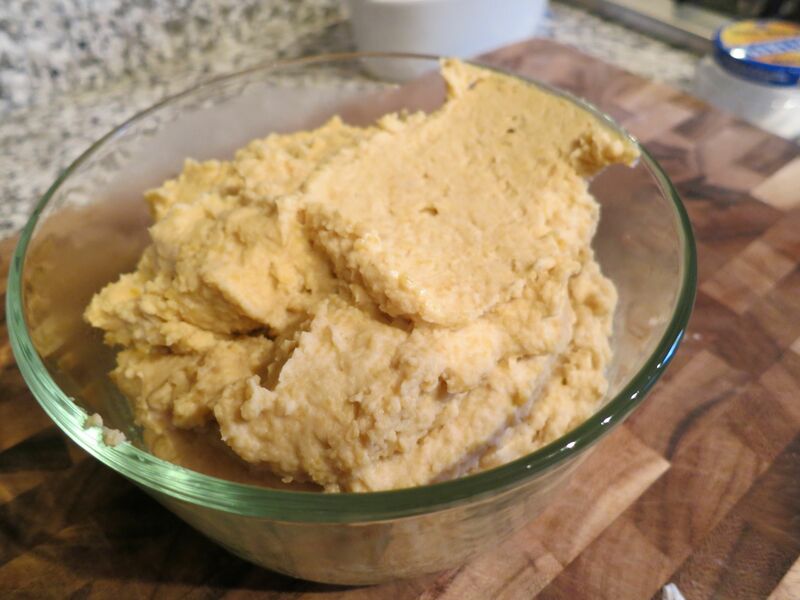 I also used quite a bit of the sesame oil in my tahini, so it had a stronger sesame flavor than store-bought hummus usually has. I love sesame so that worked for me. The hummus is a drier than store-bought so when I eat/serve it, I add a drizzle of olive oil to loosen it up. Yum. 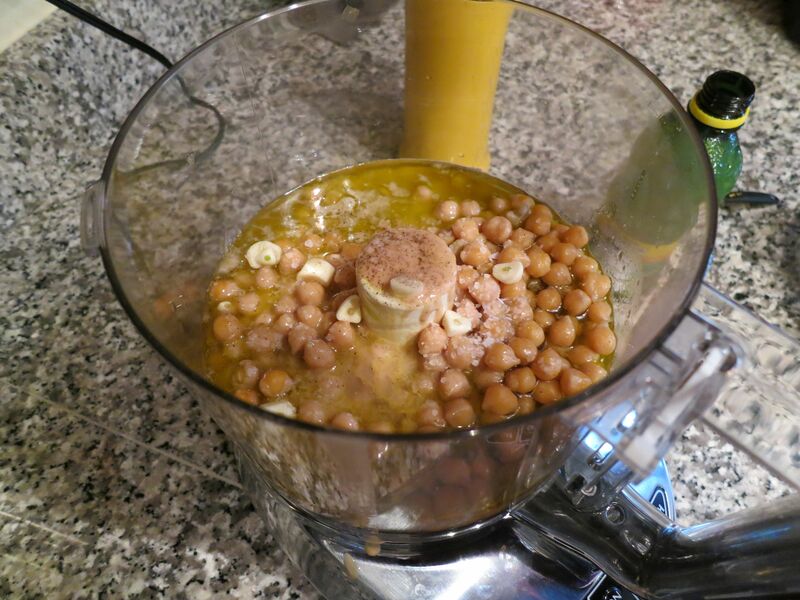 Put the chickpeas, tahini, oil, garlic, and lemon juice in a food processor, sprinkle with salt and pepper, and begin to process; add chickpea-cooking liquid or water as needed to produce a smooth purée. Taste and adjust seasoning, adding more salt, pepper, or lemon juice as needed. Drizzle with some olive oil before serving.